As new condition Les Paul Studio `50s Tribute Goldtop. 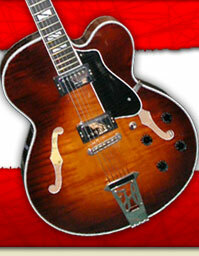 Sounds as good as it looks, the current P90s still have the mojo-itise. Seems to be a 3 piece body, very resonant & lively sounding when played acoustically & hollers like a P90 Les Paul when plugged into a good dirty little amp like the Supro Dual Tone . Zero fret wear. And , DOES NOT have the new mandatory Auto-tuning sillyness, you gots to tune it yah self! Comes with Gibson padded gigbag & 12 month in-shop warranty.